Lamu Town is situated on Lamu Island just off the Kenyan Coast and can be reached by short hop flights from Nairobi/Mombasa/Malindi. Air Kenya / Fly540 / Safarilink / Jambo Jet / amongst other carriers operate this route. Lamu can also be reached by road either by public transport or in private car. If guests arrive in private cars these can be left at the passenger ferry after arranging an askari, and a ferry transfer can easily be obtained to the island. Explore the culture of Eastern Africas best preserved example of an old Swahili town with its narrow streets, museums, shops, markets and wood carvers. Visit the Museums and the fort, to absorb in detail Lamus rich historical past. Shop for kikoys, tailored clothes, Lamu trays, chests, beads and other local artifacts. Sail on a dhow to Manda Toto, Kipungani or Takwa for a picnic lunch, go swimming and fishing on the way. Spend a day on the beach of Shela, swimming, surfing, water skiing. Indulge in a relaxing massage, profit from the Henna artists skills or simply have your hair braided. Sit in a cafe on the waterfront sipping fresh juices and watch the fishermen unloading their catch and the Donkeys transferring good from the Dhows. Discover the various Turtle Marine and environmental protection projects and assist in there advancement. Take a Boat-trip into the Mangrove backwaters and channels and enjoy the silence of nature. Enjoy the unique Lamu Cultural festival where Ritual dances,Donkey and Dhow Races occur, and artistic performances are staged. Visit the Arabuko Sokoke forest, the largest remaining tract of indigenous coastal forest, rich in biodiversity with a high concentration of globally threatened species, several of which are unique to the area. Over 230 bird species have been recorded, including the endemic Clarke’s Weaver, the Amani Sunbird, Sokoke Pipit and Sokoke Scops Owl. Explore the ruins of Gede, dating back to the 13th century, a town that was mysteriously abandoned in the 16th century. It is one of the best known historic sites, with the exception of Fort Jesus in Mombasa. Visit Mida Creek, a large tidal inlet extending over 32 square kilometres, is a major breeding ground for numerous Northern migratory birds. More than half the area is covered by mangroves. Visit the Watamu Bio-Ken Snake Farm and Research Centre, founded by James Ashe, a world authority on African snakes and their bites. Kilifi town sits on the north side of the gorgeous Kilifi Creek, midway between Mombasa and Malindi. It is a quiet backwater, almost undisturbed by tourism until recently, except for the occasional visitors to the Mnarani ruins on the south side of the creek, which date back to the early 14th Century, eventually being abandoned in the 17thcentury. For years it has been a holiday destination, mainly for up-country farmers who owned homes here and enjoyed water sports but, in the last decade, others have discovered the pristine unpopulated beaches on the north shore and Kilifi is much in demand as a holiday destination, both by Kenyan residents and overseas visitors, with a resulting boom in property sales and the construction of holiday villas. In addition, the creek provides probably the best anchorage on the coast, and many yachts and power boats are moored at the Boatyard, a recommended destination for international yachtsmen. Except for phenomena such as el Nino, the weather on the coast is fairly predictable, with temperatures varying little throughout the year, sometimes reaching 34°c in the hottest months and rarely lower than 20°c on cold wet June/July nights. The only significant variable is the rain, which falls mainly during the south east monsoon, or “Kusi”, which blows from March to September. These “long rains” occur from April into June and, after the onset of the north east monsoon, or “Kaskazi”, in October we have the short rains. Bear in mind that, unlike in the tropical Pacific Ocean, even during the long rains it seldom rains continuously for days on end! As we are only a few degrees south of the equator, daylight hours do not vary much from the 12 hours of the equinoxes. Dawn breaks between 5.30 and 6.00am and darkness falls between 6.30 and 7.00pm, with twilight for only 15 minutes or so. Please look at the activities page for things to do in Kilifi. Mombasa is a major trade centre and home to Kenya's only large seaport, the Kilindini Harbour. Kilindini is an old Swahili term meaning "deep". The port is so-called because the channel is naturally very deep. Kilindini Harbor is an example of a natural geographic phenomenon called a ria, formed millions of years ago when the sea level rose and engulfed a river that was flowing from the mainland. 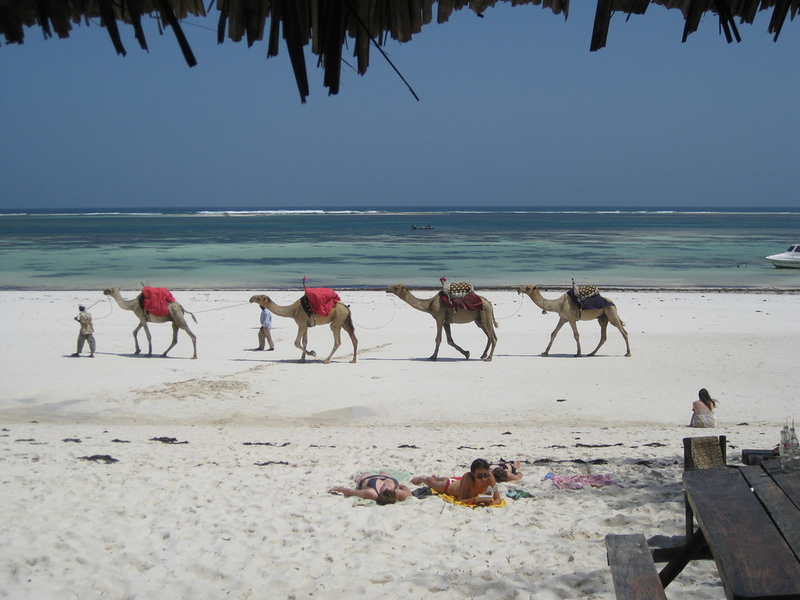 Mombasa is a centre of coastal tourism in Kenya. Mombasa Island itself is not a main attraction, although many people visit the Old Town and Fort Jesus. The Nyali, Bamburi, and Shanzu beaches are located north of the city. 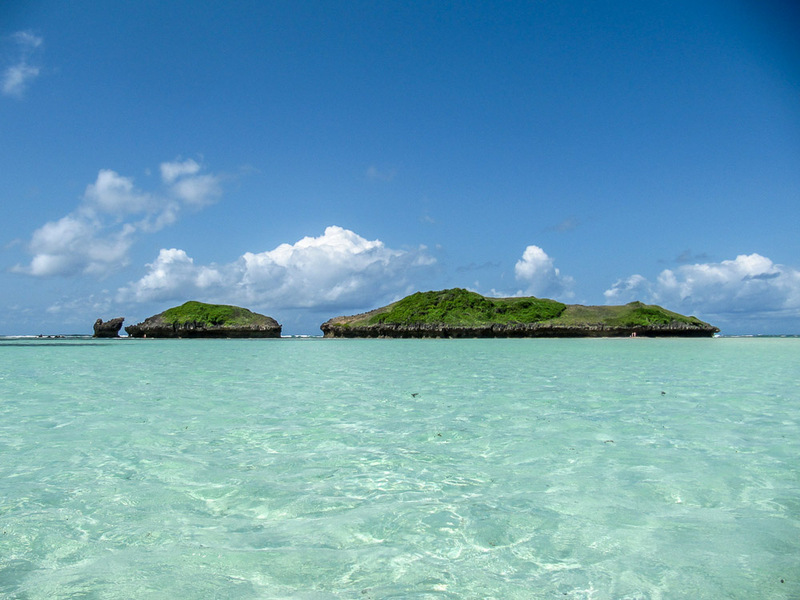 The Shelly, Tiwi, and Diani beaches are located south of Mombasa. Several luxury hotels exist on these beaches, while the less expensive hotels are located further away. Mombasa's northern shoreline is renowned for its vibrant 24-hour entertainment offers, including both family entertainment (water parks, cinemas, bowling, etc. ), sports (water sports, mountain biking and go karting), culinary offers (restaurants offering a wide range of specialities from Kenya, China, Japan, India, Italy, Germany and other countries) and nightlife (bars, pubs, clubs, discothèques, etc. ).